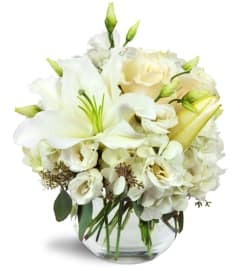 With a little help from our floral designers, decorating for the holidays couldn’t be easier! 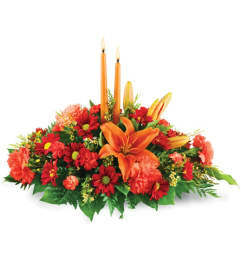 This festive Christmas display will be a perfect centerpiece for all of your holiday gatherings. 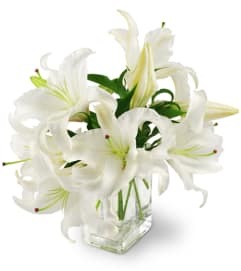 Place a bouquet on your entrance hall table to create an extra warm welcome! 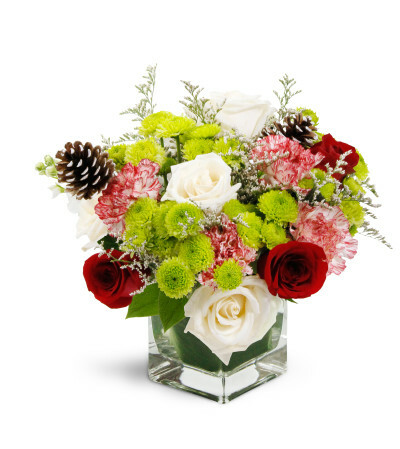 Creamy white and vibrant red roses are displayed with peppermint carnations and pinecones in a modern cube glass vase.